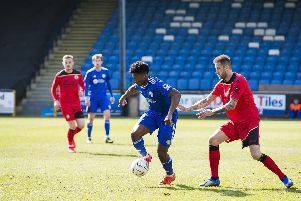 FC Halifax Town beat Ossett Albion 2-0 in their hastily-arranged friendly on Saturday. Both teams were left without a game after Town’s early exit from the FA Cup, and Ossett’s scheduled opponents remaining in the competition. Halifax hit the crossbar in a goalless first-half before netting twice after the interval. The Shaymen are next in action next Saturday at home to Woking.